Design is a contextually shaped idea of creation. It is the concept that design goes beyond just “design” that ultimately establishes unique and creative designs. Design is shaped by local context and relies on a dualism between thinking and knowing and acting in the world. When designing, the process of exploration, seeking and questioning, allows designers to adapt and utilize historical influences inspired through diverse contexts, to create original and creative work. Although design is the result of one’s intrinsic view on how an object, garment or building should be created, design is also essentially influenced through historical practices to produce new and innovative designs. “Designs, knowledge and research are constituted in practice.” This knowledge is not just in people’s minds, but is ongoing and operates through what people do through specific practices. Practice is a body of know-how that has been learnt and passed down over time through repetition. Within the Indonesian culture, it is highly participatory. Art and design are highly collaborative. Indonesia is evidently an imagined community, where they live within a socially constructed society. A specific practice in which is a socially cooperative activity is batik. It is a cultural practice developed through diverse patterns influenced by a variety of cultures. It incorporates dye, in particular indigo, cloth and techniques, where diverse motifs circulate. 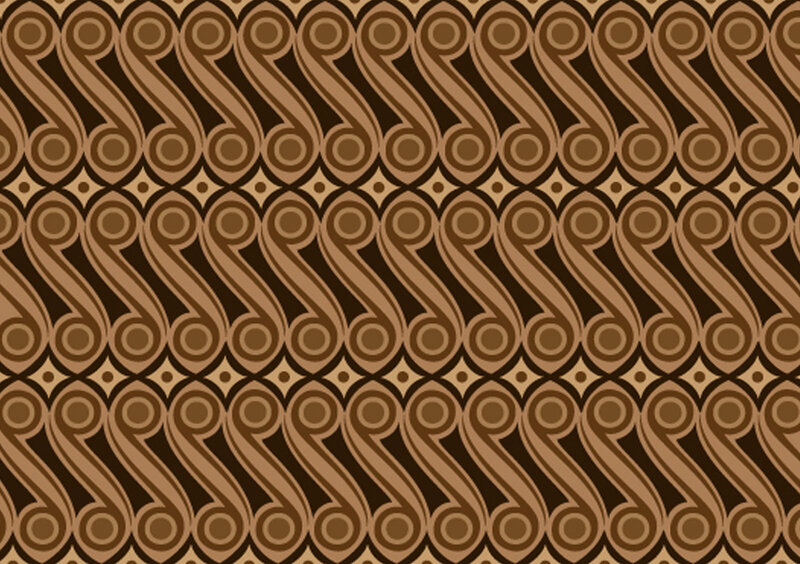 This cultural practice predates written record and is now a collaboration of art and design and focuses on collectivity within the Indonesian culture. It is one of Indonesia’s cultural products that is collectively attributed. Batik has now reached a global scale, influencing designers from all different disciplines around the world. Old influences play out and work in relation with contemporary influences. This is imperative in design. To be a designer, it is crucial to document and observe the world around you and to become an active observer. 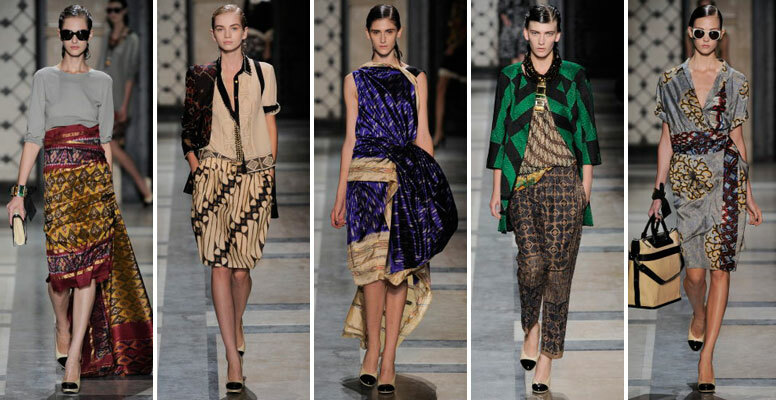 A specific active observer is Belgian designer, Dries Van Noten, who used the Batik motif within his Spring, Summer 2010 collection. He utilized multiple Batik motifs throughout the whole collection. It is imperative to consider how you are going to use the past to inform the present. Indonesia is such a diverse context, through designers seeing places and objects through different perspectives, it creates diversity and allows for endless design possibilities.